In the second millennium the Earth has been exposed to the menace of approaching comets. To prevent the disaster by comet impact, the earth is protected by the TSR.2MS interceptor aircraft from a ground-based "Meteor Sweeper" group. She is lifted off by ZELL (Zero-length launch) like a surface-to-air missile, flying to mid-altitude using two jet engines and rockets equipped under the wings. She locks onto a meteorite and destroys it with a big missile. 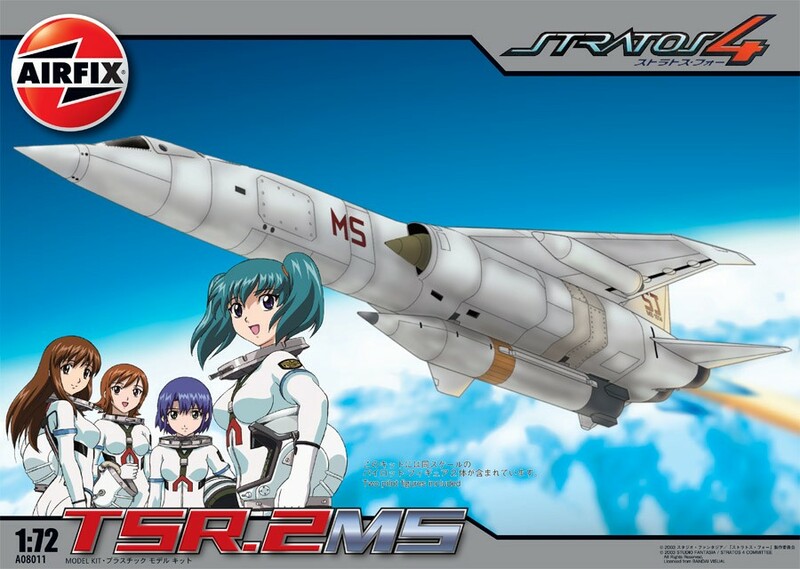 This is the story of the Stratos 4 series from Japan the aircraft based on the TSR2 with added parts for the science-fiction TSR.2MS interceptor. The original TSR-2 model can also be built from this kit and it includes decals for the iconic prototype aircraft from the 1960s.for the iconic prototype aircraft from the 1960s.